Nos encontramos en el antiguo Londres de finales del siglo XIX. El señor Utterson, un prestigioso abogado londinense, ha escuchado una historia de su amigo, el señor Enfield, que despierta su curiosidad. 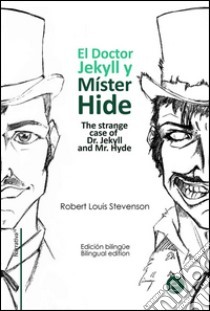 Así, Utterson comienza una investigación para averiguar la verdadera identidad de Mr. Hyde, un hombre que se presenta muy unido a un viejo amigo conocido como el doctor Jekyll. The work is commonly associated with the rare mental condition often spuriously called "split personality", referred to in psychiatry as dissociative identity disorder, where within the same body there exists more than one distinct personality. In this case, there are two personalities within Dr Jekyll, one apparently good and the other evil; completely opposite levels of morality. The novella's impact is such that it has become a part of the language, with the very phrase "Jekyll and Hyde" coming to mean a person who is vastly different in moral character from one situation to the next.